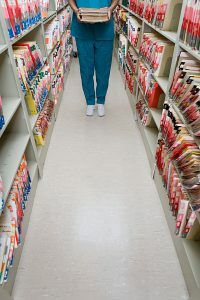 If you need help with your medical records management system, Record Nations can guide you through the process for an efficient and cost-effective solution. We’ve put together a network of records storage professionals that will help you find a secure long or short-term storage service that’s ideal for your practice, while minimizing your medical records storage services costs. Our pre-screened network of experienced and well-trained storage professionals specialize in helping you ensure you’re compliant with all applicable laws for healthcare information management, including HIPAA, HITECH, and all State or Local Regulations. Because we understand the importance of document management in medical settings, our experts adhere to all healthcare industry guidelines and always use the highest levels of security when handling patient files and any other sensitive documentation. Record Nations provides your practice with free, no-obligation quotes to quality medical records management services in your area. Call today at (866) 385-3706. Record Nations is your expert in managing your practice’s medical records. We work with a network of local record storage professionals who specialize in securely storing your medical records off site.Our network of record storage professionals specialize in helping you and minimize your storage costs. You can also store your backup tapes, external hard drives, and other media along with your records through Record Nations, keeping your data safe in the case of a natural disaster or data breach. If you’re looking for secure medical records storage, please fill out the form to the right, or give us a call at (866) 385-3706. Our highly-trained, experienced staff can help to answer any questions you may have. Within minutes of receiving your request, Record Nations can find free quotes from experts in your area offering high-quality medical records storage facilities that meets your needs. 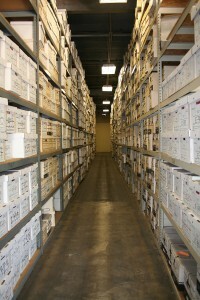 If you’d like to learn more about medical records storage, visit our articles section!